how true. Read the ingredients list on those snacks before you give em to your kid. Reincarnation is a common belief in many eastern religions; often your next life is determined by your karma, your good/bad acts. But they’re a bit backwards – who would ever want to ascend from dog to human? Sure, we have video games too, but only our larval stage ever has a chance to play them. Did ever any one person having experience with both say the step from dog to human was an ascent? 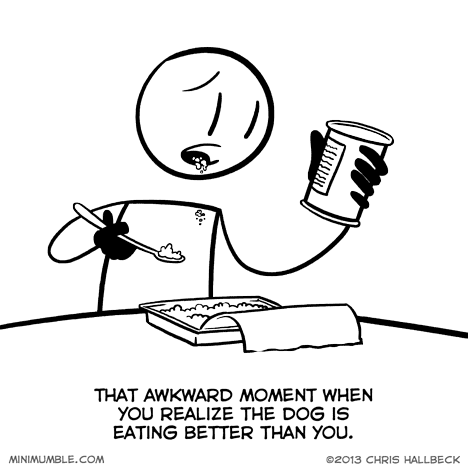 Especially when you ponder on what an average dog will eat in it’s day-to-day life.